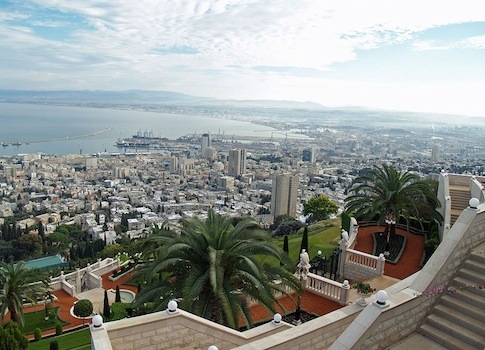 A popular USO port in the Israeli city of Haifa was the center of a bitter dispute over U.S. funding for overseas operations in the late 1980s. Chuck Hagel, the one-time Republican Senator from Nebraska who President Barack Obama may nominate as the next secretary of defense, led the controversial charge to shutter the port during his tenure with the organization. Hagel, who served as president and CEO of the World USO from 1987 to 1990, expressed intense opposition to the USO Haifa Center during a tumultuous 1989 meeting with Jewish leaders, according to multiple sources involved in the fight to keep the post open. "He said to me, ‘Let the Jews pay for it’," said Marsha Halteman, director for military and law enforcement programs at the Jewish Institute for National Security Affairs (JINSA), which led the battle to keep USO Haifa operational. Hagel’s campaign to close the storied USO port struck many observers, including the U.S. Navy and congressional leaders, as misguided. Those same critics argue today that Hagel’s animosity toward the Jewish state leaves him unsuited to be the nation’s next defense secretary. "He essentially told us that if we wanted to keep the USO [in Haifa] open—and when I say ‘we’, he meant ‘the Jews’—he said the Jews could pay for it," said Halteman, who recalled being taken aback by the comment. "I told him at the time that I found his comments to be anti-Semitic," she said. "He was playing into that dual loyalty thing." The potential nomination of Hagel to lead the Pentagon has drawn sharp opposition from multiple Jewish leaders and members of Congress who have expressed concern over his comments about the so-called "Jewish lobby." "The Jewish lobby intimidates a lot of people" on Capitol Hill, Hagel told Middle East expert Aaron David Miller during a 2008 interview. Jewish community members in Nebraska, where Hagel served for 12 years as Senator, have recalled him as particularly hostile. Hagel once dubbed a Jewish Republican activist as "nothing but a f–king tool for AIPAC," according to reports. Those present at that 1989 meeting over Haifa described the encounter as an indicator of what they said is Hagel’s hostility towards the Jewish state. "An indication of Hagel's early less-than-warm feelings toward Israel came in the late 1980s when, as the president of the USO, he sought to defund the popular USO facility in the Israeli port city of Haifa," JINSA wrote in a recent newsletter. The USO port in Haifa quickly became a popular destination for the U.S. Navy’s Sixth Fleet upon its opening in 1984. American soldiers and sailors were treated to tours of Israel and mingled with Haifa’s eclectic population. The port soon became a symbol of the burgeoning military relationship between the U.S. and Israel. "One of the most visible signs of the U.S.-Israel strategic cooperation has been the regular calls of the U.S. Sixth Fleet in Haifa," a 1986 news report stated. But budgetary constraints at the USO in the late 1980s led Hagel to put the Haifa port on the chopping block, sources said. "There were a few USOs that showed up on his list as being in trouble financially and that he thought he needed to cut," Halteman said. "But even at the time, there were not budgetary problems at the Haifa USO," she said. "In fact it was thriving. Hundreds of people were going through those doors weekly." When news of Hagel’s decision to close the port reached Capitol Hill, a delegation of lawmakers and others expressed fierce opposition, according to news reports. "The closure decision came under heavy fire from the citizens of Haifa, the Sixth Fleet and American-Jewish circles," the Jerusalem Post reported at the time. Nearly everyone but Hagel supported the base, according to one Jewish communal official who is familiar with the controversy. "The backlash was so vociferous—including from the Navy and from Congress—that not only did the closing get reversed but [Hagel] had to expand the base," said the source. However, sources said Hagel refused to permit the USO, which was teetering on bankruptcy at the time, to fund fully the Haifa port. "Chuck Hagel said the Haifa port is costing the U.S. too much [and] that if the Jews wanted one, the Jews should do the fundraising," said one source involved in protecting the port’s funding. A Jewish member of the USO’s board ultimately volunteered to secure funding for the port. "As it turns out there was a Jewish member of the USO board who led the efforts to raise the money to keep the USO open, so the Jews did raise the money," said JINSA’s Halteman. Nearly $60,000 was raised to renovate and expand the port. Once the money was secured Hagel altered his position on the port, sources said. He told the Jerusalem Post in a 1989 interview that "the U.S. Navy and the State Department had agreed that, for military and diplomatic reasons, the Haifa centre was ‘very necessary.’"
"The [Jewish] community support given by residents, as well as 200 protest letters, mainly from American-Jewish circles, had influenced the decision. … Hagel noted that the protesters had backed their demands with funds, and some $60,000 had already been raised to support the centre," according to the report. Insiders said that Hagel’s actions should raise alarms among lawmakers considering his potential nomination to head the Pentagon. "What could possibly drive someone to try to burn political capital on something like this, except a real dedication to undermining U.S.-Israeli military-to-military contacts," said the Jewish official quoted above. "My suspicion today was that [Hagel] didn’t like this great development in the U.S.-Israel relationship," added another source who was involved in lobbying to keep the Haifa hub open. "You look back and say, ‘It makes sense’," added the source. "He wasn’t going to push for a deeper strategic relationship." A USO spokesperson said the organization has "no records of any discussion to close the USO Center in Haifa while Charles Hagel was CEO and President of the USO from 1987 to 1990" and USO staff "are still working to determine when after 2000 the USO Center in Haifa closed." "We have no one here that can confirm the discussion about USO Haifa as reported in your story," the spokesperson said. This entry was posted in National Security and tagged Chuck Hagel, Israel, Middle East, Obama Administration. Bookmark the permalink.